“Inquiry-based learning” is set to be promoted as a trendy concept. Numerous institutions of higher learning are involved in projects relating to inquiry-based learning and declare it a distinguishing feature of their teaching. This applies in particular to research-intensive universities. What does inquiry-based learning mean for higher education development? Is inquiry-based learning suited to serve as the strategic orientation of the entire institution? And how can this be implemented beyond a guiding principle and mere announcements at an institute of higher learning? How can the greatest possible number of actors be involved in these processes? And what should be taken into consideration in so doing? 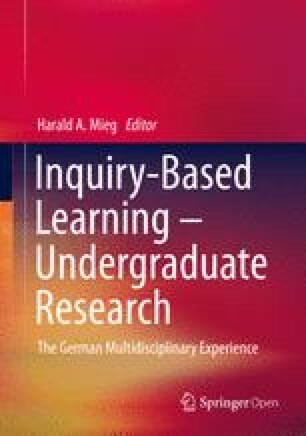 The following article addresses these questions and refers by way of example to activities and experiences in the profile development for inquiry-based learning at the University of Bremen.